They apply heat to the print head to activate the direct thermal media (printing paper). Heating causes a chemical reaction and the print forms on the label. They do not use ink or a resin barcode ribbon. 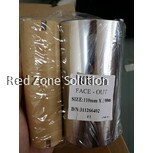 The costs of running one are low; however, the labels are not scratch resistant and deteriorate when exposed to light. That makes them suitable for short-term use in receipts and shipping tags. Thermal printers use a heated printing head, which transfers heat to a resin barcode ribbon to imprint a label. The print quality is excellent and are resistant to weather elements. You can also select any colour ribbon you like. Thermal transfer labels find application in inventory tagging, labelling medicine, outdoor use, and more. This label printer ribbon is the least priced. It contains 7-10% resin and can withstand exposure to moisture. Wax ribbons produce labels that are scratch resistant but are not suitable for temperatures exceeding 160 degrees. To distinguish them, they are dark in colour and not transparent. 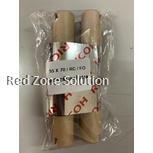 They are ideal for printing on coated or uncoated paper. Some wax label printer ribbon can print on synthetic papers. Since they have low resin content, the quality may suffer and they may not withstand intense use. 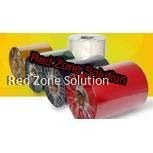 Provide better functionality and durability, than wax ribbons since they have more resin content. The resin is harvested from trees such as pine and fir. It is insoluble in water, thus a preferred choice when creating labels. The barcode resin ribbon is durable; scratch & smudge resistant; and chemical resistant. It can print at high speeds, and resist high print head temperatures. You can use this label on more rough and smooth surfaces such as synthetics, waterproof materials, and coated or glossy paper stocks. 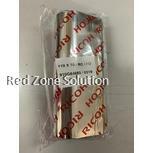 Ribbon barcodes are suitable for outdoor use since they can with stand, the harsh solar radiation, and water. Thus they are suitable for products in environments with changing weather conditions. They can print on matte, semi & high-gloss, polyethylene, and polyester labels. Its barcode ribbon price will not hurt your budget. Since they are sturdy, you spend less in the long run. 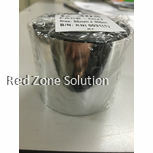 The resin barcode ribbon is the most durable and expensive label printing material. It is 100% resin coated. That makes it the most robust fabric regarding, chemical resistance, durability, water resistance, weather element resistant and more. For printing labels on medicines and corrosive chemical products, this label is a must. They also produce permanent labels. To know if a ribbon is 100% resin, it will have a transparent look. The resin barcode ribbon can work on different kinds of paper including polyester, vinyl, nylon, polypropylene, polyethylene and more. Coloured ribbons are available in all the three types. They are available in multiple colours depending on your desire. You can buy your ribbons hear at affordable prices.